North Korea and the United States ended their working-level consultations in Sweden on Monday (local time) to break the impasse over denuclearization talks amid apparent preparations underway for another summit of their leaders. 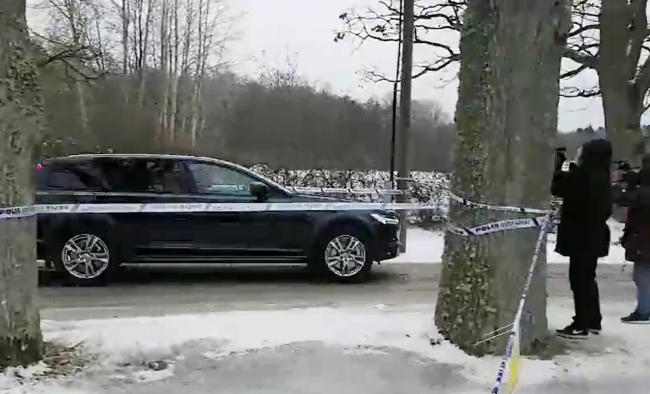 A vehicle carrying U.S. Special Representative Stephen Biegun was seen leaving the convention earlier in the day in a remote area located northwest of Stockholm, where the two sides have held three days of negotiations since Saturday. Later in the day, another vehicle apparently carrying Choe Son-hui, North Korea's vice foreign minister, was spotted driving away. South Korea's chief nuclear envoy, Lee Do-hoon, was also staying at the facility for bilateral or trilateral discussions. The Sweden negotiations come after Kim Yong-chol, a top aide to North Korean leader Kim Jong-un, visited Washington D.C. early last week. He had talks with Secretary of State Mike Pompeo and met with U.S. President Donald Trump. Trump said Sunday that "a lot of progress" had been made on the issue of denuclearizing North Korea and that he was looking forward to meeting Kim at the end of next month. Whether Pyongyang and Washington will take the next steps toward the actual second summit, such as announcing the date and venue, could hinge on the outcome of the meeting between Biegun and Choe. Expectations remain over an additional meeting between the two sides since they are said to be staying for another day before they leave Sweden. Vice President Mike Pence has said that in the second summit, the U.S. will be laying out its expectations for North Korea to "take concrete steps to begin to make real the denuclearization that Kim Jong-un committed to."